2019 Calendar. Healthy Choices Recipes Calendar. 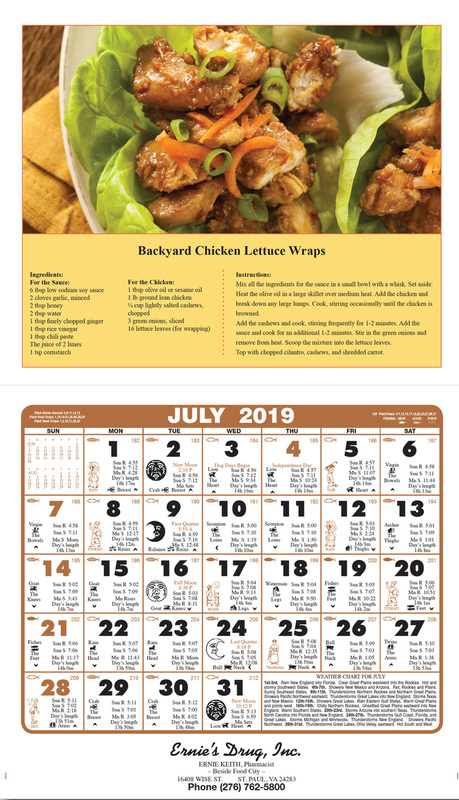 This calendar features 12 full color stock recipes. These recipes are lovely to look at, easy to make, and delicious to eat. Black Imprint Included. Color Ad $.24 (G) Calendar features Almanac Pad. Just like having a cookbook right on your wall. 8 3/4" x 16 3/8"